The following is a weekly report concerning construction and maintenance work on State highways within the Ohio Department of Transportation District 1. This is the first weekly construction update from ODOT District 1 for the year. Interstate 75 between Napoleon Road and the Hancock County line will be restricted to one lane in each direction through the work zone for pavement repair. Interstate 75 in Allen County will be impacted minimally by maintenance work on bridges and overpasses in the following locations. Work will be done primarily off the highway, but occasional lane closures may occur during daytime hours. U.S. 30 in Allen and Van Wert counties will be impacted minimally by maintenance work on bridges and overpasses in the following locations. Work will be done primarily off the highway, but occasional lane closures may occur during daytime hours. State Route 65 between Breese Road and the Auglaize County line will be restricted to one lane through the work zone for pavement crack sealing. State Route 65 between Fourth Street and Elm Street, Lima, will be restricted to one lane of through traffic in each direction through the work zone for pavement resurfacing beginning April 24. State Route 117 between Greely Chapel Road and Bowman Road, Lima, will be restricted to one lane in each direction through the work zone for pavement resurfacing beginning Monday, April 22. The project also includes replacement of curbs, catch basins and crossover drainage pipes. Work is expected to continue through early June. State Route 309 between the Allen County Fairgrounds and the Hardin County line will be restricted to one lane through the work zone for pavement resurfacing beginning June 3. The project also includes drainage work near the Allen County Fairgrounds. State Route 114 between the Paulding County line and state Route 694 will be restricted to one lane through the work zone for pavement crack sealing. State Route 114 between U.S. 224 and Road M, within the village of Kalida, will be restricted to one lane through the work zone for pavement resurfacing. Work is expected to begin Monday, April 15, and continue through late July. U.S. 224 between the Van Wert County line and the eastern corporation limit of Kalida, excluding the village of Ottoville, will be restricted to one lane through the work zone for pavement resurfacing. Work is expected to begin Monday, April 15, and continue through late July. State Route 613 between the village of Leipsic and the Hancock County line, and between the Paulding County line and state Route 15, will be restricted to one lane through the work zone for removal of raised pavement markings. The work is being done in preparation for an upcoming chip seal project. 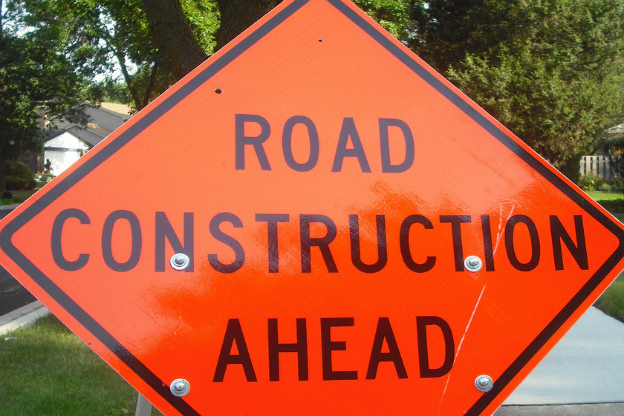 State Route 81 between county Road 103 (Mendon Road) and Thomas Road, west of the village of Elgin, is now expected to close Monday for approximately 45 days for the replacement of twin culvert structures. The project also includes additional drainage work on each side of the roadway. Traffic will be detoured onto U.S. 127, state Route 709 and state Route 116 back to state Route 81. State Route 118 between Cooper Road and the Mercer County line, south of the city of Van Wert, will be restricted to one lane through the work zone for berm repair. Work is expected to continue through late April. U.S. 224 between U.S. 127 and the Putnam County line, north of the city of Van Wert, will be restricted to one lane through the work zone for berm repair. Work is expected to continue through late April. State Route 697 between county Road 213 (Spencerville Delphos Road) and state Route 116, west of the city of Delphos, closed March 27 for approximately 45 days during a pavement repair and shoulder widening project. Traffic is detoured onto state Route 116, state Route 81 and state Route 66 back to state Route 697. State Route 709 between state Route 118 and state Route 116, between the villages of Ohio City and Venedocia, will be restricted to one lane through the work zone for berm repair. Work is expected to continue through late April.